The radical transformation that Spanish rural areas have experienced in the past few decades suggest, as it has occurred in many OECD countries, a new approach to rural policy. Spain has recently undertaken a major reform of its rural policies, including the merger of the Ministry of Agriculture with the Ministry of the Environment and the recently approved Law on Sustainable Development of Rural Areas. 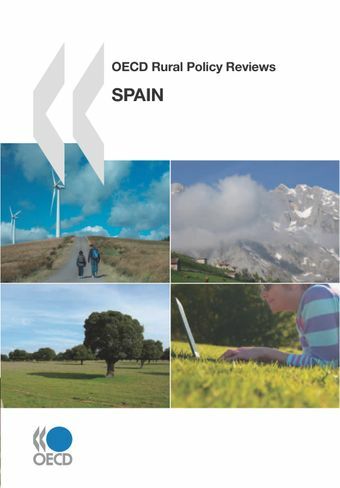 This new framework creates a multi-sectoral and place-based “rural policy of state”, making Spain better equipped to address the challenges and opportunities of rural areas. This report – undertaken at the same time as the reforms were being implemented – will interest both policy makers engaged in similar reform processes and others working on issues such the “political economy” of reforms, rural tourism, renewable energies, rural clusters, development of peri-urban areas and public service delivery in remote rural areas. Spain’s recent long period of vigorous growth did not sufficiently reach rural areas as evidenced by the resulting pattern of population concentration in larger cities to the detriment of rural areas and the backwardness of rural areas with regards to many economic and social indicators. However, paradoxically, as the period of dynamic national growth comes to an end and the national economy confronts the effects of the current international financial crisis, rural areas can become a new source of employment and wealth creation, while contributing solutions to environmental challenges. This requires a new approach to rural policy, which takes advantage of the application of EU rural development programmes but goes beyond them. the active engagement of civil society in the process. Based on the LDSMR, the Program for Sustainable Rural Development (PDRS) will for the first time, design multisectoral policies to cope with the challenges of rural areas. addressing environmental concerns and promoting a sustainable development for rural areas.